Terrific! Wildly out-of-this-world! Totally unforgettable! These could be what guests at your kiddie birthday party would say if you have prepared to the hilt. But for now, you are still racking your brains for ideas. How can you give your child the best, super-duper birthday party ever? No matter how old your kids may be, they will always be your babies. Regardless if your tot is turning one or thirteen, you would still love to think that you can give them a birthday party they’d remember for the rest of their lives. It’s fun to think up ideas in your head but when it comes to actually organising and managing a party, the reality can be quite challenging. You need to think about a million and one things to make it a resounding success. From the concept to the birthday décor, securing the venue to choosing the food, or from renting furniture and a sound system to looking for the most awesome entertainment, there simply are so many factors to consider. When you are overwhelmed with planning, organising, and managing a birthday party for kids in Dubai, it would be best to enlist the services of professional party planners. Events companies have party organisers who are experts in putting together a supercalifragilistic party. They have the knowhow to make things work based on their experience. Their insight into the nitty gritty of organising events — from the basic baby bash up to full-scale corporate shindigs — gives them the foresight to thoroughly prepare for such occasions. Your ideas can be perfectly brought to life with the addition of fun party elements. 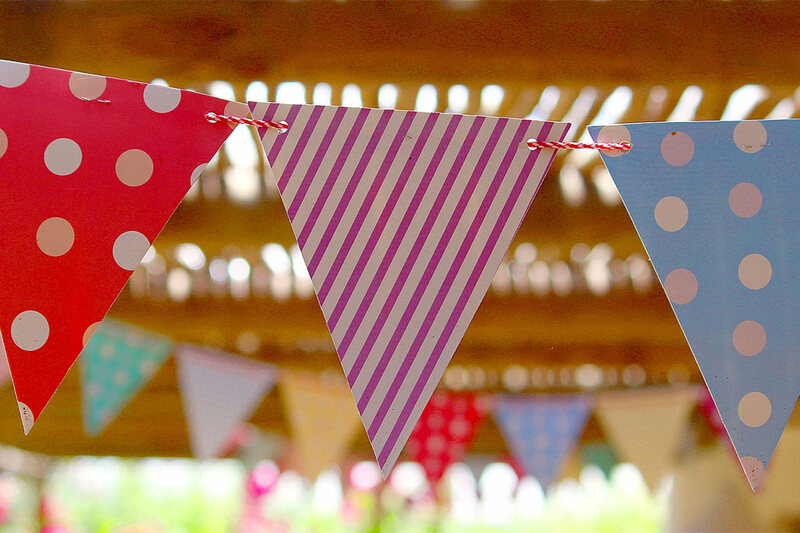 These additions can add pizzazz and verve to your kid’s birthday bash. Decorations can help dictate the look and feel of a party. Even if you have a huge space for a venue, when it is sparsely or inadequately decorated, the vibe will just be bland and dull. Party decorations should not only be based on the amount, however. It should go well with the theme and must be coherent with other party elements. It’s not just confined to balloons and banners as well. Party decorations can range from the minutest details such as cake toppers to gigantic balloon arches and funky furniture. You can also arrange for singing telegrams. Ask the aid of the first and only singing telegram supplier in the UAE to send a performer (or more) to the venue of your child’s birthday party. It can also be a lovely surprise to start off a day of celebration by having one sent to your house to wake the birthday boy or girl in a fun, exciting and unique way. Kids of all ages have favourite cartoon or show characters. You can make their dreams come true by bringing their favourite characters to life with cute and cuddly mascots. These mascots can help provide entertainment by dancing, playing and joining in games, or simply going around posing for pictures. They are the perfect representation of your kid’s favourite make-believe buddy. Events companies that specialise in kiddie parties have a wide range of mascots to choose from, but just in case your kid’s “friend” is not in the current roster, they can certainly make one just for you. Some parties can be ho-hum boring if all you do is eat and sing the usual birthday song. Why not jazz up the atmosphere with lively entertainment? From magicians to jugglers, breakdancers to DJs, there is a full list of skilled entertainers that can add flair to your party. These talented entertainers can elevate the vibe of your party to the next level with their comical antics, captivating acts, and boundless energy. Would you like to explore new and interactive ways to have fun? Tired of seeing your kids simply playing with their gadgets and not talking to each other? Encourage playtime and social skills by putting up a bouncy tent or castle during your child’s birthday party. Let the kids run around and jump to their heart’s content. Allow carefree bonding in the sunshine and fresh air with these quirky inflatables. Even those kids-at-heart will surely enjoy a bounce or two inside these exhilarating gigantic balloons. Having friends and family come and celebrate your child’s party will certainly make it more memorable. The ideas mentioned above will not only make the party unforgettable for your kid but also for the people who have joined you in marking an important milestone in your child’s life. By enlisting the help of professionals – from party planning to party cleaning services – you will have more time to spend enjoying this special moment. Leave the worries of planning, managing, and even cleaning up, to the able hands of these party specialists, and allocate your energy in creating precious moments with the star of the party – your child. In 2008, Managing Director and Founder of The Big Moo Events Lorate Hamzeh left a successful career in Human Resources to venture into the niche market of children’s entertainment. By introducing the UAE to Singing Telegrams, Lorate attracted the attention of the children’s entertainment market with a collection of fun mascots. Within a year, Lorate added children’s entertainers and bouncers to the company’s ever-growing list of services, and the rest is history.